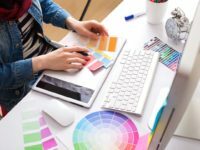 As a busy business owner, you may not be entirely focused on having ‘perfect’ graphic design. Today, however, business owners are focusing on building their brand, to establish a successful business. Using a Content management system like WordPress for their website, for example, is a common trend in web design. 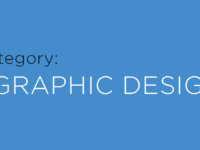 The same way hiring a Graphic Designer is one of the must-dos in the modern business era. Regarding marketing, the definition of branding is the total of the value of a company, including products, services, advertising, people, positioning, and culture. The Branding of a business is building trust with the employees, customers, and the stakeholders. It gives your customers and stakeholders a firm idea of what they are investing in making their decision to invest easier. Every business wants to be the first choice of customers, with a first class product or service. Building a brand can play a huge part in this. If you want to strengthen the perceptions of your business, then a strong brand image is a must have. A good brand identity design differentiates your product or services from the others and provides the customers with a strong reason to choose you over your competitors. The most significant benefit of branding is that it can help in increasing your sales and build a strong market presence. Branding encourages confidence and trust in your product or service. It also develops the uniqueness of your product. People start trusting your services and expect that you can live up to their expectations and standards. In case you face any problems with the product or service, the customers would understand and have faith that you will do what it takes to resolve the issue. Let’s have a look at one of the most important factors of branding and try to speculate how hiring a graphic designer can help you in Branding your business. The logo design of your business is one of the most important aspects of the Branding process. However, many businesses do not realise the importance of the Logo design for future development. Customers are flooded with numerous images daily for brand promotion and marketing, so if you do not have a logo that can make an impact on a client’s mind, then you are on the losing side already. » The logo should be ready to use in different medias. » The Brand message should be the primary concern, not necessarily the artistic value. » It should be in a way that can be molded or printed with no loss in quality while using for any events or promotions. A professional graphic designer can offer you a whole lot of things in your site design to make it impressive. It is not only the logo design they can help with, but every time you want to put some design element they will play their part. Moreover, there are so many things like product info, customer reviews, etc. that can be placed strategically using graphics. It can make your site effective and stand out from the others in your competition. There is so much collateral material you must use like business cards, letterheads, and brochures. Hiring a graphic designer can help you in preparing materials that can not go unnoticed by your clients or users, giving a good impression of your brand. Images and colors can be used that relate to your business or services. Your business card should be designed graphically in such a way that it doesn’t remain discarded in the collection of your clients. It should be something impossible to ignore. Author Bio: Marie is a Graphic Designer by profession and writer by hobby. She works for Wordsuccor Ltd., providing custom WordPress design service to global clients.